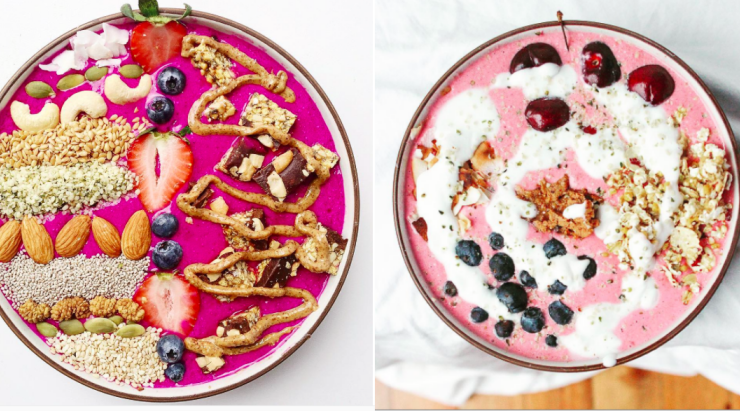 Are these the best smoothie photos on Instagram? There are reportedly over 500 million users on Instagram. Out of these, 300 million are active users. And, it won’t be a stretch to say that a large number of these active users post photos of food. In January this year, according to business.com, around 168,375,343 posts were for #food and 76,239,441 posts for #foodporn. While a lot of these food pics are taken on the spur of the moment — some turn out good, some should be instantly deleted — there is a niche within the photo-sharing service that sees users who devote a lot of attention to the stuff they are posting. This space includes artfully arranged and photographed pics — a little too artfully — from faddists, wellness enthusiasts and food extremists, all of which gets a bit tiring after a while, and then, there is Lee Tilghman. Tilghman is a Los Angeles-based “recipe developer, who loves peanuts, avocado and running”. She is also into organic farming, has “trained at a raw vegan cafe in her hometown of Fairfield, Connecticut for three years” and is a graduate with a degree in Creative Writing. We are sure Tilghman is exceedingly good at what she does, but we reckon that most of her over 47,000 followers especially look forward to her ‘smoothie’ posts. Nobody does smoothies like Tilghman, and nymag.com calls her the Smoothie Queen of America. Tilghman makes smoothies with all kinds of things — dragonfruit, acai, spirulina, almond butter — and they all look positively divine. Here, take a look. ginger mango smoothie bowl 💫 topped with coconut chips, cherries, blueberries, almond butter, and an apricot almond @gomacro thrive bar // this is another recipe i did for the @gomacro cookbook. recipe is up on the blog! good morning wednesday 🌱 starting the day with a cherry smoothie bowl with granola, blueberry, toasted coconut and almond butter. so excited to go to the new @365bywholefoods @bychefchloe in silver lake this evening with @nobread ! i'll report back with all the details 😍 its the very first 'budget' whole foods in the country! quinoa protein porridge ••• a new breakfast grain to add to the weekly rotation. finally, something to do with all the leftover quinoa. super thick and creamy and sure to keep you satisfied throughout lunch. the recipe for is up on the blog!